Gateway to unspoiled paradise. Isla Holbox, Mexico. From a swaying hammock strapped to wooden posts I closed my eyes and listened. Dried palm leaves above my head rustled in the wind while providing refuge from the midday sun. The burst of fresh cut limes being squeezed at a rickety mojito bar nearby permeated the air. There were no speedboats with parasails in tow, no vendors hawking cheap sunglasses and more than a handful of people walked along the beach. In the midst of it all, I wondered how much longer this place, so quickly cemented in my memory, might remain exactly as it was on that afternoon. 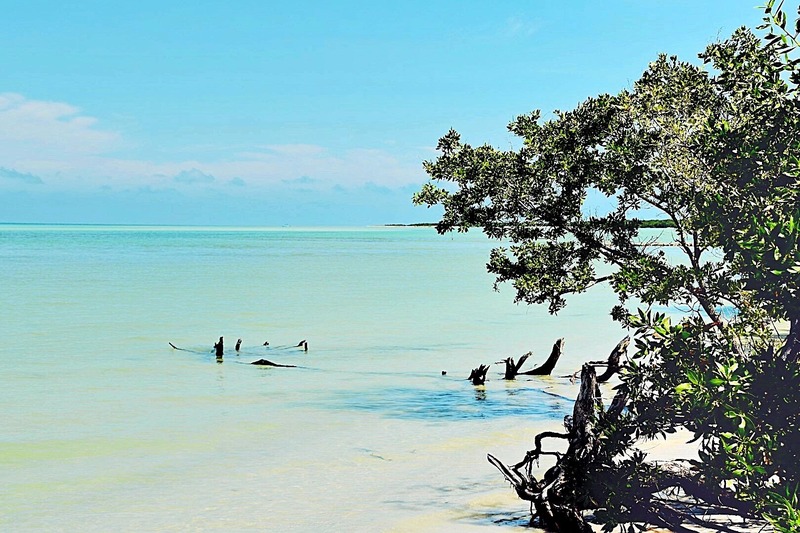 Isla Holbox, a 26-mile long, and less than a mile wide, island off Mexico’s Yucatan peninsula, holds almost mythical status among intrepid travelers and early adopters in the travel industry. Its claim to fame is that, from mid-May to late September, it boasts one of the premier locations in the Western Hemisphere to swim with the massive and graceful whale shark, the largest fish in the sea. It’s also one of the few places to witness the so-called bioluminescence effect: micro-plankton containing an enzyme that renders it aglow, similar to the effect noted among lighting bugs in summer. Adding to the little-known island’s growing prominence was its inclusion on the New York Times’ “52 Places to Go in 2016” list on which it was designated an “emerging eco-tourism gem.” Hence, when I had the opportunity to visit Holbox during a recent trip to Mexico, I couldn’t miss seeing the place that had left other travelers gob smacked. At the beach. 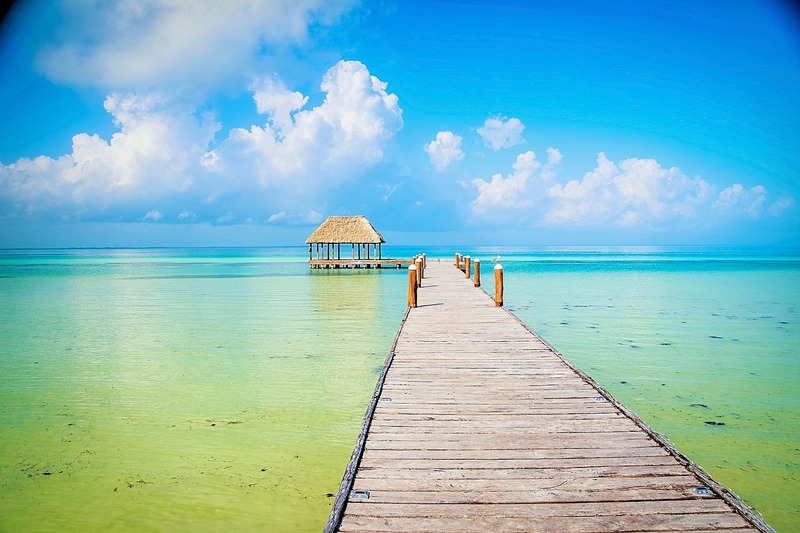 Isla Holbox, Mexico. Certainly, one aspect that contributes to the mystique of Isla Holbox is the fact it’s not terribly easy to reach. Getting to this unspoiled paradise not only required a flight to Cancun, but a nearly 2-hour drive to the dusty town of Chiquila, followed by a 30-minute ferry ride. Once finally arrived on the dock at Holbox, a retrofitted golf cart conveyed my travel companion and I the short distance to our lodgings. 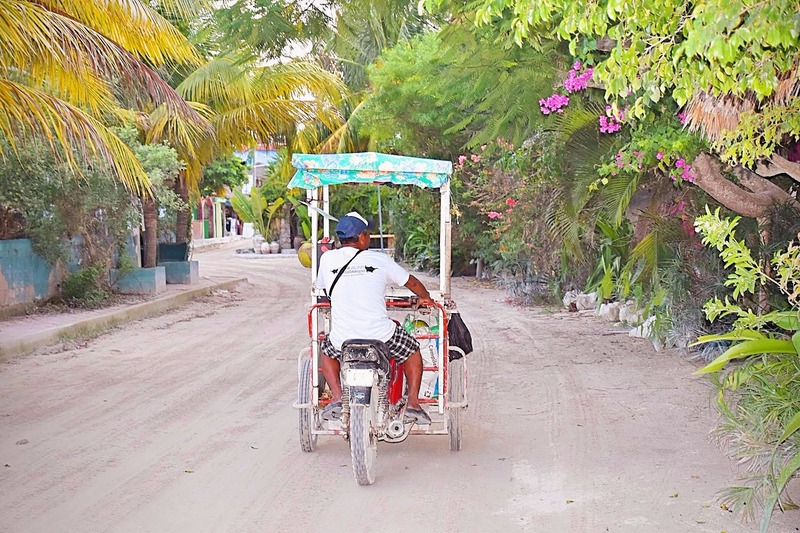 Along the way, the young cart driver explained that cars were not allowed on Holbox as the streets are, after all, made of sand. When rain soaks the streets, lack of drainage makes them impassable leaving tourists to lug their own baggage through the deluge. A metaphor for life perhaps. Thankfully, however, we were fortunate enough to arrive on a bright and sunny day. On our first full day we ventured out to the aptly named Mosquito Point, which offers one of the most stunning vistas over an unspoiled stretch of silky-smooth white sand. 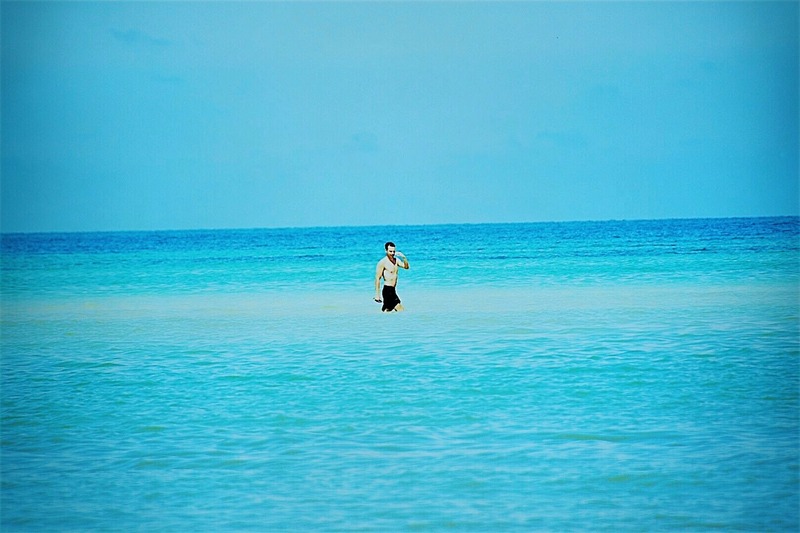 Here, I waded out to a sandbar in only knee-high water where different shades of turquoise came together creating a landscape that felt like a Corona ad or a Kenny Chesney music video. A flamingo flew overhead and, although none were spotted on this day, I was told that sea turtles and manta rays often grace the area. With hardly another person in my line of view I took a moment to give thanks and let my spirit receive this gift of nature. Gifts aside, it must be noted, however, that if the gentle whale shark is the first mascot of Holbox, the voracious mosquito must be the second. Feeding hour for the local mosquitos was a round the clock affair and venturing out at dusk was an assault akin to walking through a wasp’s nest. No type of repellent seemed fit for purpose. Sharing in my agony, I witnessed more than one pair of German tourists in the local sundry shop examining the potency of different brands with despondent looks on their faces and bulbous red marks covering their arms and legs. As night fell, couples in pareos and tank tops braved the mosquitos to sip margaritas while being serenaded by a guitar player. Across the central square, while taco vendors and carts selling freshly roasted corn with chili or cream were setting up for a long night of nourishing revelers, colder than ice beers and creatively concocted mojitos were served up on the rooftop bar of the Arena Hotel. Meanwhile, Basico, one of the island’s more popular destinations for “beach cuisine”, was churning out popcorn shrimp in a tangy tamarind sauce, grilled octopus on pumpkin puree, citrusy ceviches and impossibly fresh fish alongside a daily cocktail for men and another for the ladies that served as a gateway to their sumptuous offerings. That said, the most famous dish on Holbox is undoubtedly the lobster pizza. Many establishments turn it out but I was instructed to only partake in the original, first created at the popular Edelyn pizzeria in 1985. Chunks of fresh lobster meat heaped upon gooey mozzarella cheese provided a soul-satisfying conclusion to a day at the beach. Street life on Isla Holbox. Come 10PM Holbox is a place where one could just as easily fall asleep in preparation for sunrise yoga as drink Dos Equis till dawn. The rhythm to the island is one of no rhythm at all. Sleep when you like. Eat when you like. Piña colada at 11am? Sin problema! Lunch at 4pm? Spicy guacamole on the way. But in comparison to some of the more frenetic beachside boites where the younger set dance the night away, mornings on Holbox are decidedly tranquil. 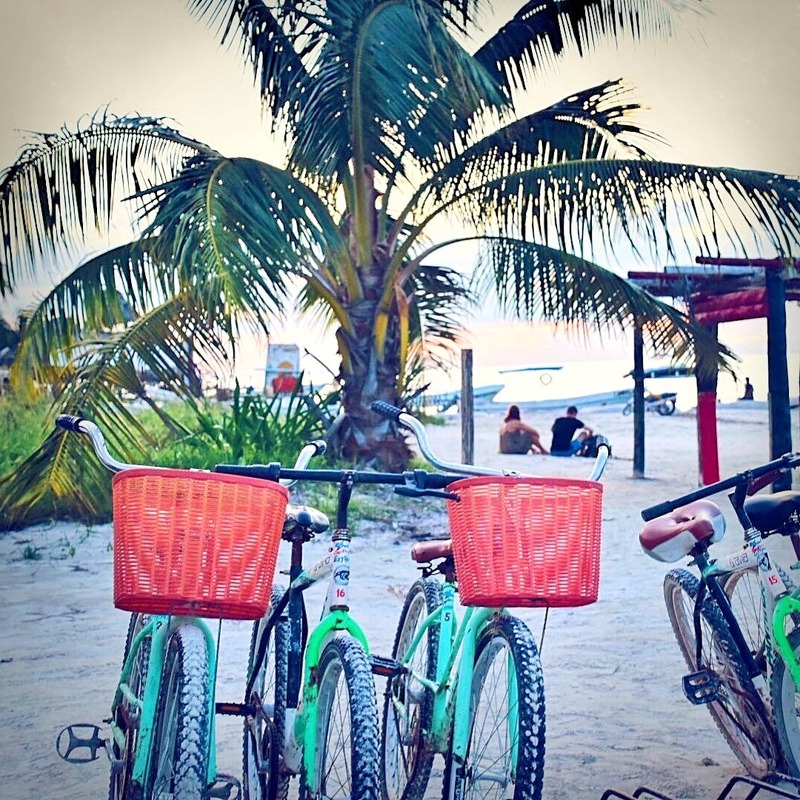 Latin vibes give way to beach blues and hypnotic strains reminiscent of a Hotel Costes soundtrack at many of the street-side cafes which offer Mexican specialties such as chilaquiles with fried tortilla, green tomatillo sauce and crumbled Oaxaca cheese. Simultaneously, organic juice bars on the main drag offer smoothies of pineapple, honey and chaya, a local herb considered a Mayan cure-all. For luxury travelers accustomed to the highest levels of pampering, Holbox may not be quite the right fit. The pace of activity on the island is slow – real slow. Continental plate shifting slow.  Moreover, the shores of this burgeoning Shangri-la can currently claim no five-star accommodations or large-scale resort properties (though a number of development projects are in the works). Credit cards are not widely accepted and it’s rare to find more than one ATM of reliable operability. In the meantime, and in the place of all-out luxe, visitors to Holbox are limited to accommodations ranging from chic beachside bungalows to quaint guest rooms that combine elements of incense, reclaimed wood, and natural light. In addition to blending into the natural surroundings, a stay at most of these properties is often accompanied by yoga classes, massage therapies and other wellness activities which, at minimum, approach traditional five-star amenities. Beyond its minimal luxuries, however, the fact that the island is not quite ready for prime time is exactly why it is adored by so many. Indeed, it is an incredibly liberating feeling to move seamlessly from beach to bar to restaurant in nothing but one’s Vilebrequins and Havaianas. With nearby areas of Cancun, Playa del Carmen and Tulum in a state of continuous expansion it’s unclear how long this version of Holbox will remain. But, one thing is certain―the time to visit one of the last undiscovered Mexican hideaways is fleeting. Explorer of gastronomic and luxury hideaways, Marc Destito is an essayist, travel consultant and communications guru. He has represented leading global wine regions including the region of Champagne, France and has traveled extensively to premier destinations throughout Europe, Asia and North America. Having previously lived in Washington, D.C. he is currently based in Geneva, Switzerland. Follow Marc on Instagram @marcinmotion.